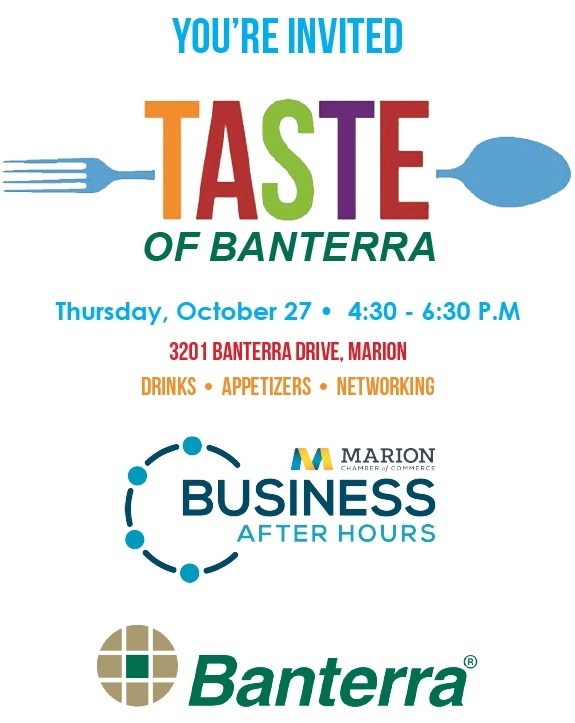 The Marion Chamber of Commerce Nominations Committee is now accepting nominations for the Board of Directors. If you would like to run for the Marion Chamber of Commerce Board of Directors, you must fill out a Nominations Agreement Form, which is available at the Chamber office or here. 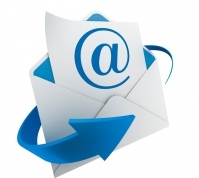 ALL Nominations Agreement Forms must be turned into the Chamber office by October 21. Ballots will be mailed on November 8 and must be returned by November 25. Term for members of the Board of Directors is three years. Board of Directors meetings are usually held at 8 a.m. on the first Tuesday of each month at Heartland Regional Medical Center. The guidelines and expectations for Board of Directors members are available here. Doug Kimmel, Chairman of the Board of the Marion Chamber of Commerce, announced that nominations are being accepted for the Chamber’s Annual Awards for Distinguished Member, Citizen of the Year, Lifetime Achievement, and Young Professional Leadership. To nominate an individual, please fill out this form - the Annual Awards Nomination Form or call or visit the Marion Chamber of Commerce office to receive the nomination form. All nomination forms must be received by 4:30 p.m. on November 1, 2016. Awards will be presented at the Marion Chamber of Commerce’s 96th Annual Auction and Awards Banquet on Friday, January 20, 2017, at the Pavilion of the City of Marion. 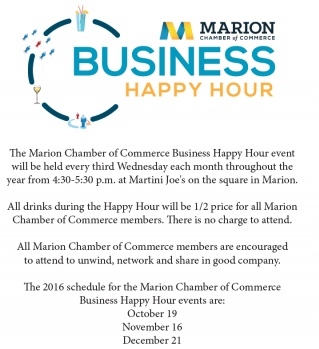 To fulfill the Marion Chamber's goal to help business and industry prosper and grow --- the Membership Committee needs your help to launch a Leadership Development Program in 2017. Your feedback on the following survey will help the committee meet your needs and expectations for leadership development for yourself and your organization. 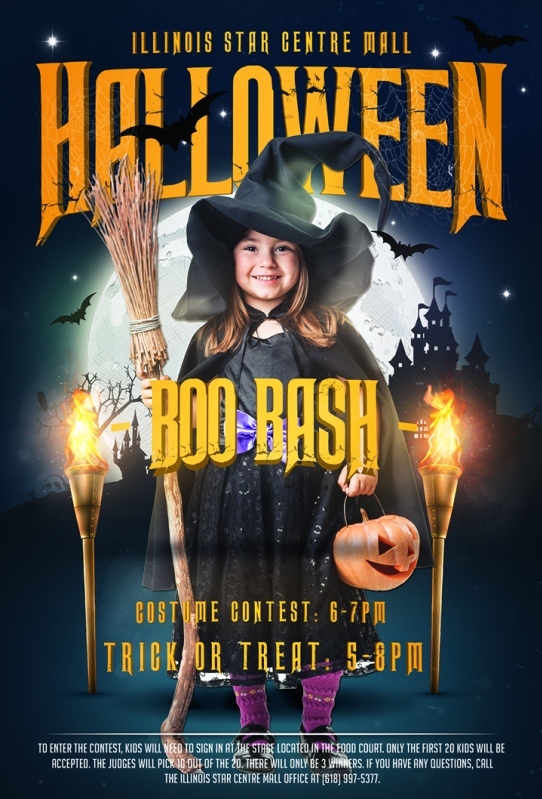 The Illinois Star Centre Mall will hold its big annual Boo Bash event on Monday, October 31 from 5-8 p.m. If you are interested in displaying your goods/services at a table along the concourse in the mall during that event, the fee is only $20. Each vendor will have access to electricity if requested and be supplied with a table and chair. Please supply your tablecloth, brochures, etc. Vendors can begin setting up as early as noon. 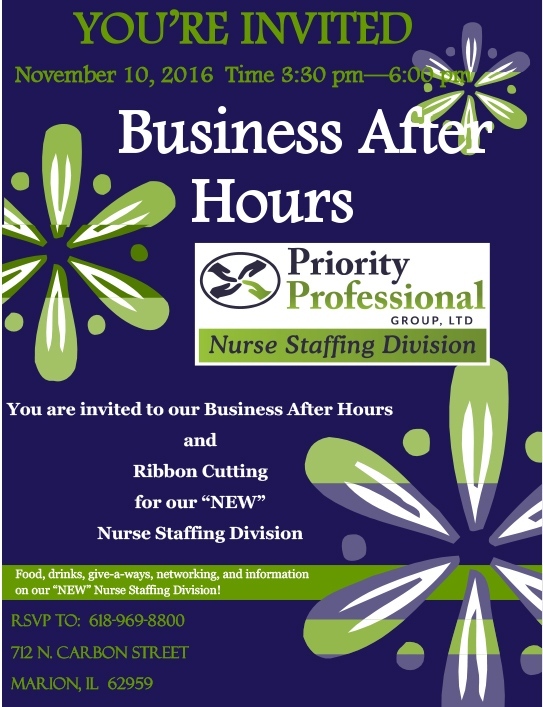 All vendors must be setup by 4:30 p.m. All vendors must have all materials removed from their vendor tables by 8:45 p.m. Vendor signup requests will be taken until Monday, October 31 at noon, or until all slots are filled. 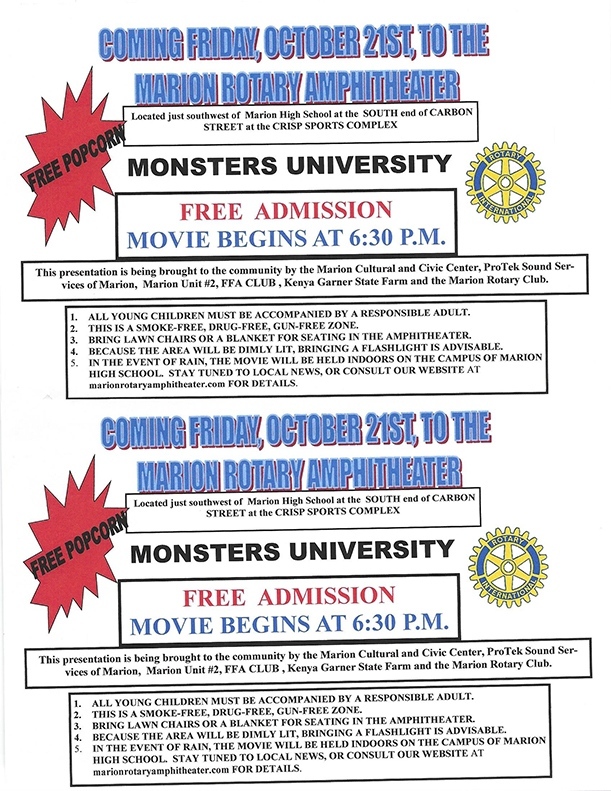 If you are interested or have questions, please call the Illinois Star Centre Mall office at (618) 997-5377. 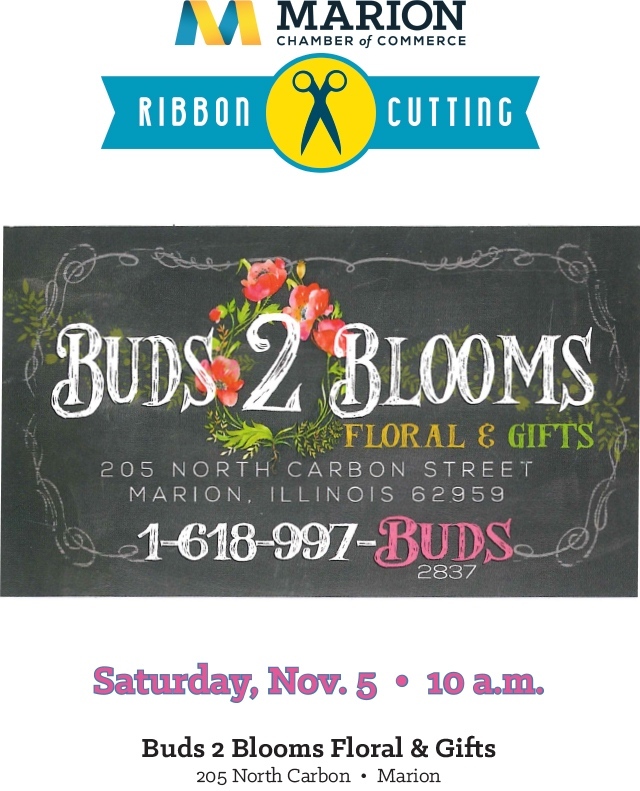 All vendors are welcome! 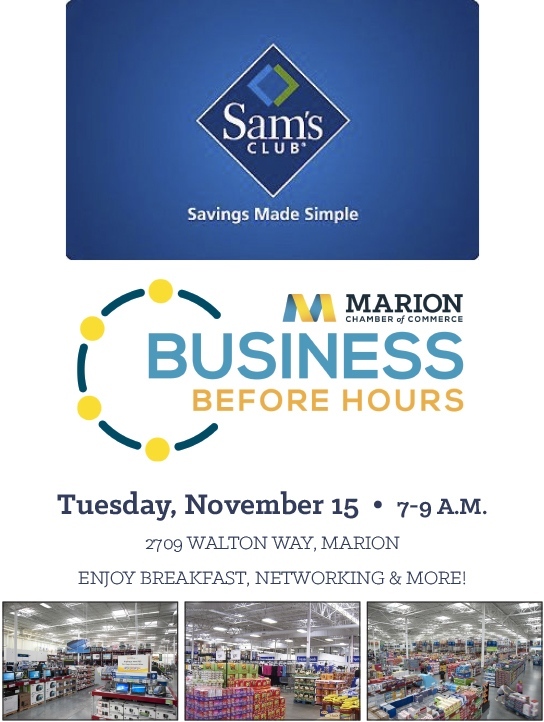 A Business Before Hours program will be held at Sam's Club, 2709 Walton Way, Marion, on Tuesday, November 15 from 7-9 a.m. featuring breakfast, networking and more. Fall 2016 Late Starting CE Classes/Events!